Brian Krebs wrote an article at Krebs on Security about Adobe. Seems they had to rush an emergency patch out because the security hole was already being exploited in active attacks. 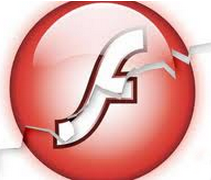 Adobe said a “critical” bug exists in all versions of Flash including Flash versions 21.0.0.197 and lower (older) across a broad range of systems, including Windows, Mac, Linux and Chrome OS. MDM for iPhone/iPad – You are at Risk ! Check Point disclosed details about SideStepper, a vulnerability that can be used to install malicious enterprise apps on iPhone and iPad devices enrolled with a mobile device management (MDM) solution. The Check Point mobile research team presented details about this vulnerability at Black Hat Asia 2016 in Singapore on April 1, 2016. The vulnerability impacts millions of iPhone or iPad devices enrolled with an MDM solution. Once again Check Point shows why they are a leader in the security space. It isn’t the flash marketing, the catch phrases, or tag lines, the cool looking media. It is about whether or not your business is secured. That is ultimately why you buy a security product correct? We don’t buy a car without a test drive first, why would this be any different? So what is the bottom line here. You need a product that goes beyond the sales and marketing hype. Something that actually secures your environment. Why would you care about all this? I have a security product, so what you ask? Because you want to be able to go home at the end of the day or week and enjoy your life, and not be sitting on conference lines into the early am or on the weekend dealing with security issues at your place of business. That is why. “the best problems to solve are ones that affect you personally” – Paul Graham.